I knew 21 nights away was going to be a long time so we would be eating a few meals in. I had tried to cut costs by bringing out lots of food the kids but I don’t think I was as prepared as I thought. Now we are here we are really noticing the exchange rate. It’s so bad at the moment and local restaurants have put their prices up compared to last year. We are also feeling it as Xavier is a bit bigger and wants his own meal rather than share off everyone else. We’ve been here 12 days now and we have only actually eaten out 4 times. But I can honestly say the nights where we have stayed in I have enjoyed it more. 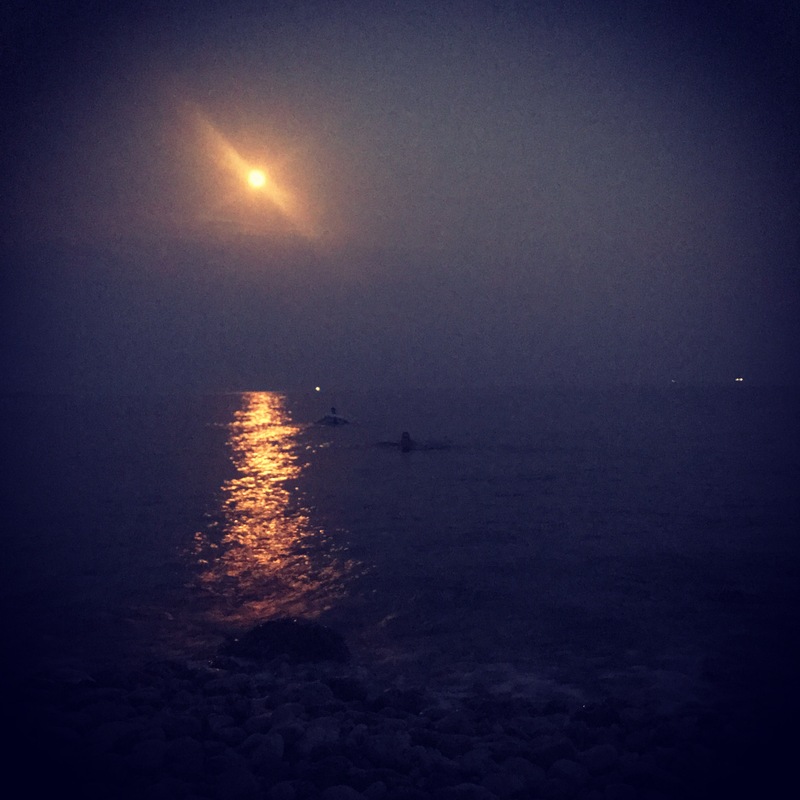 It’s about the family eating altogether and that’s what we are doing plus we’ve got the same view as in the restaurant and we have been out for drinks and ice creams afterwards a few evenings so that the kids can play with their friends. A main meal for the 5 of us (not including starters, drinks or desserts) is €35! That is literally for a basic meal in the cheapest place. So I prefer to save some evenings eating in and then splash out a bit more the next night. We’ve set a budget of €66 a day for all 3 meals a day, snacks, alcohol and treats. There is a logic to the random number! I’ve had to purchase the lilos and other pool toys out of that too. 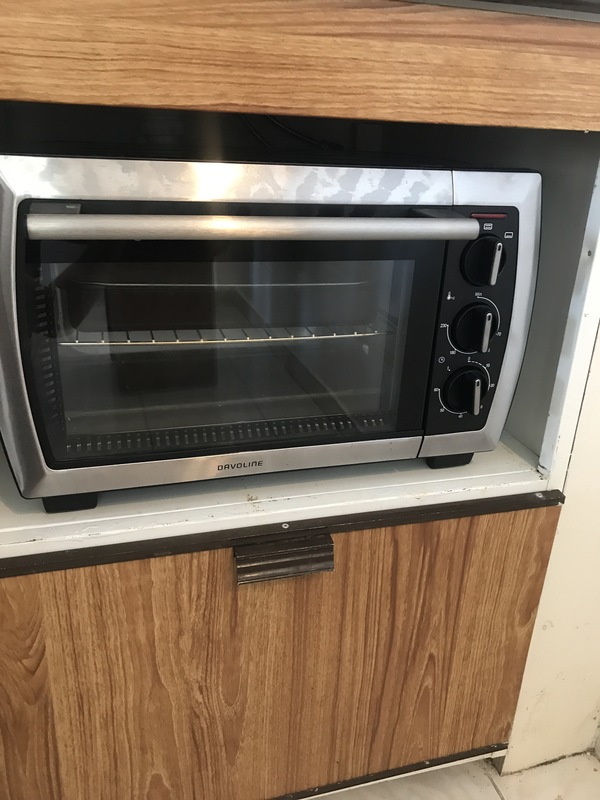 The first night we tried to cook the oven blew the fuse and kept tripping out…I don’t think it hadn’t been used for years…so they went and bought us a brand new oven. I was literally buzzing like I would be getting one at home. Unfortunately the oven is tiny…it looks like a microwave, is smaller than a microwave but it is a grill/oven. So far we’ve been focussing on roasted vegetables and then put them with pasta or rice or wedges but we’ve also had pizza too. Steffan has taken over the cooking so I’m still having a nice break from it and he’s enjoying it as he doesn’t normally get to do it. 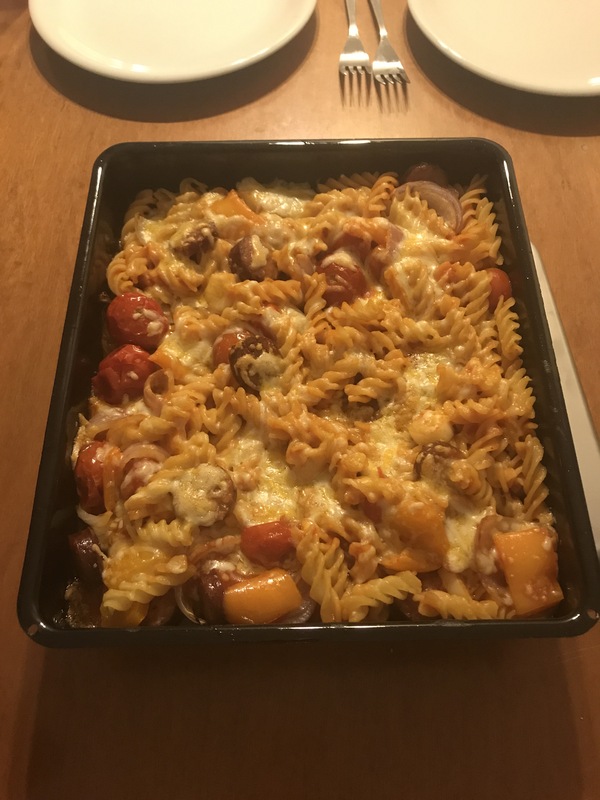 He made a lovely pasta bake the other evening. The meals we make when we eat in are costing under €10 for us all so definitely helps to balance it all out. 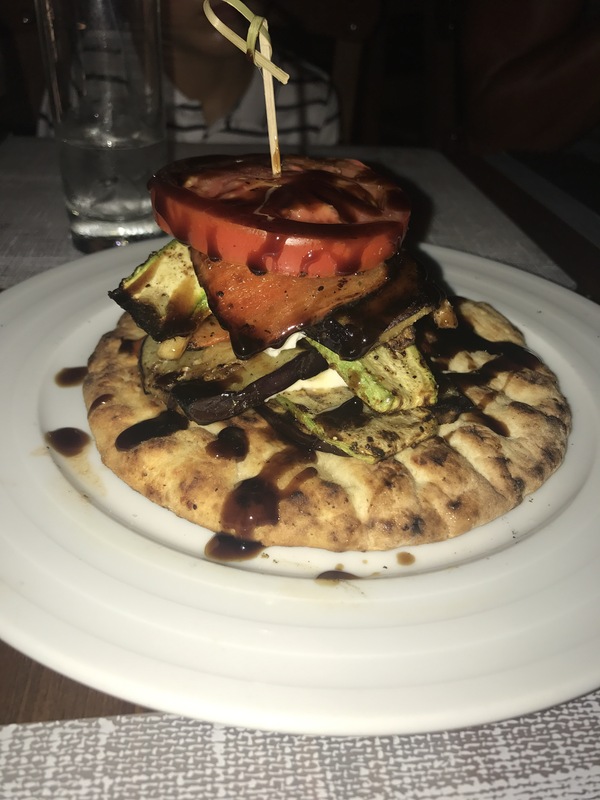 We’ve decided to look at when each restaurant in the area has a Greek night and book in for those so there is something happening on each of the nights we eat out too so it is more exciting for the kids. One of the nights we’ve booked we go on a speed boat to the restaurant so that will hopefully be really good. 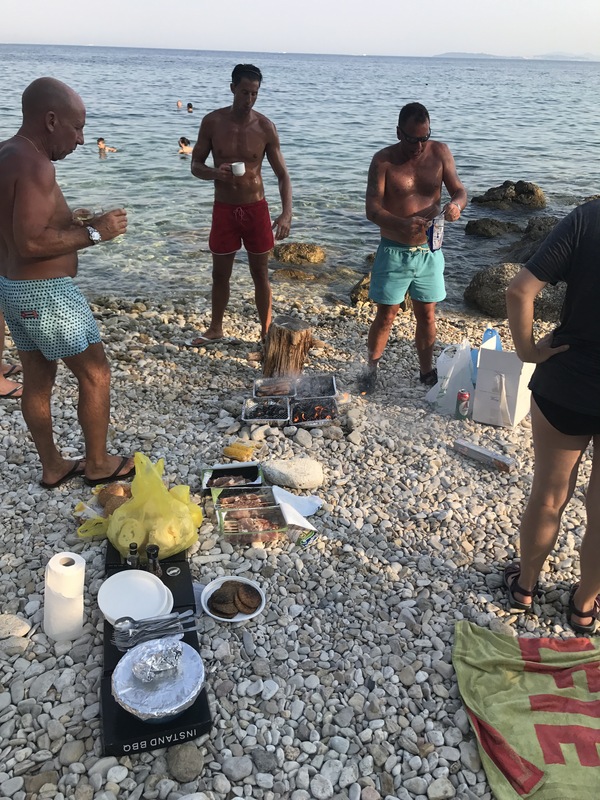 Last night we had a BBQ on the beach with 3 other families staying in our hotel. It was one of the best holiday nights I’ve ever had. We got disposable BBQs, loads of different meats, salad and wine. In total we only spent about €25 per family. 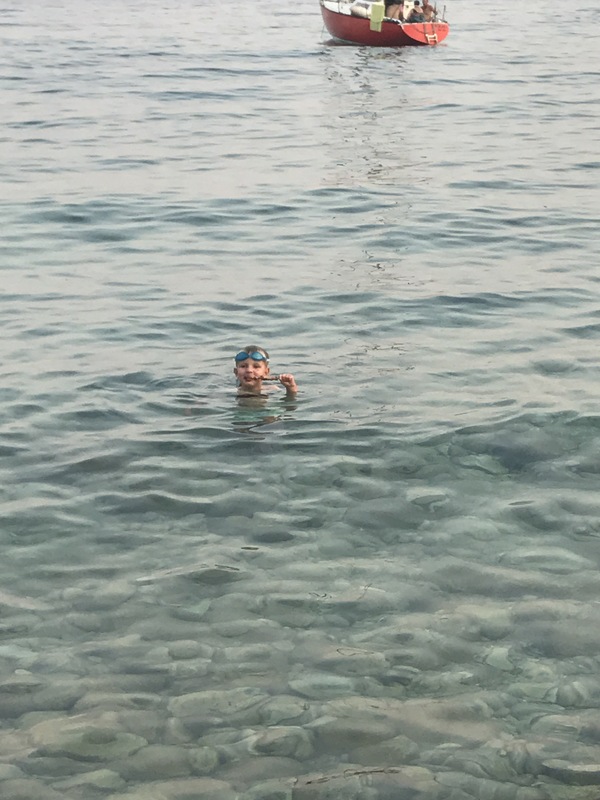 Xavier took things to another level and even had his food in the sea! The kids will have such amazing memories from it. Being up late, eating with friends and having massive amounts of freedom because we were the only ones on the beach. I hope we get to do it again before we go. Although we won’t get the moon as close to full again. I used to be terrible at eating fruit and veg in other countries, maybe because it doesn’t look as perfect as that from the supermarket in the U.K. but I eat it in the restaurants so I think I have finally got over my fears and it is really delicious! Lunches have been going well. Xavier loves hummus so that’s made it easy. 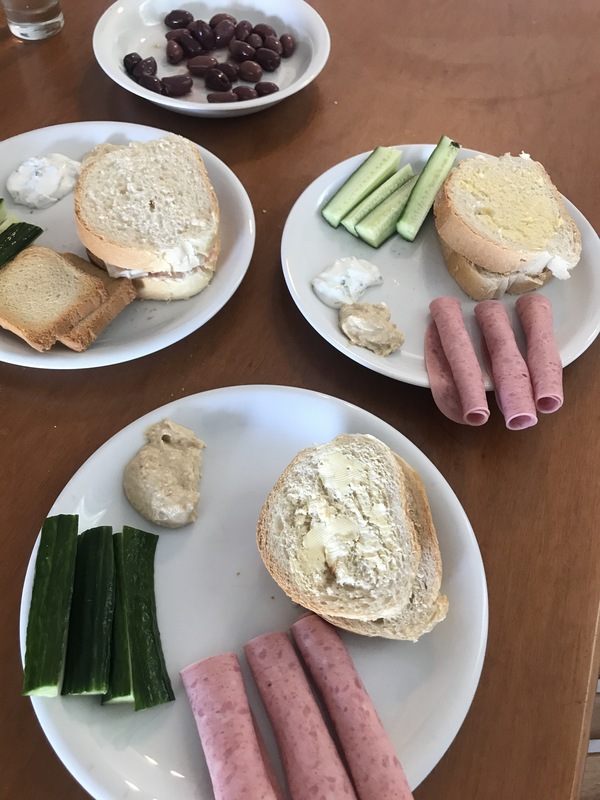 A couple of cucumbers, bit of ham, bread, tzatziki and olives to go with it and it’s a cheap lunch every day. We did start putting crisps with it but instead we now hold off on them so we can have them as a snack in the early evening. Bringing cereal was a good shout, it’s €4 a box in the supermarket. As was tuna and malted milk biscuits…we’ve saved loads on those bits. I still prefer being on a budget to all inclusive as I like the freedom of when and what I eat. We are currently bang on budget so let’s see how the second half goes.